A deluxe Rainbow Feather Boa with a multi-coloured pattern ??? Ideal for Pride events, 80?? ?s theme, or any colourful fancy dress occasion! 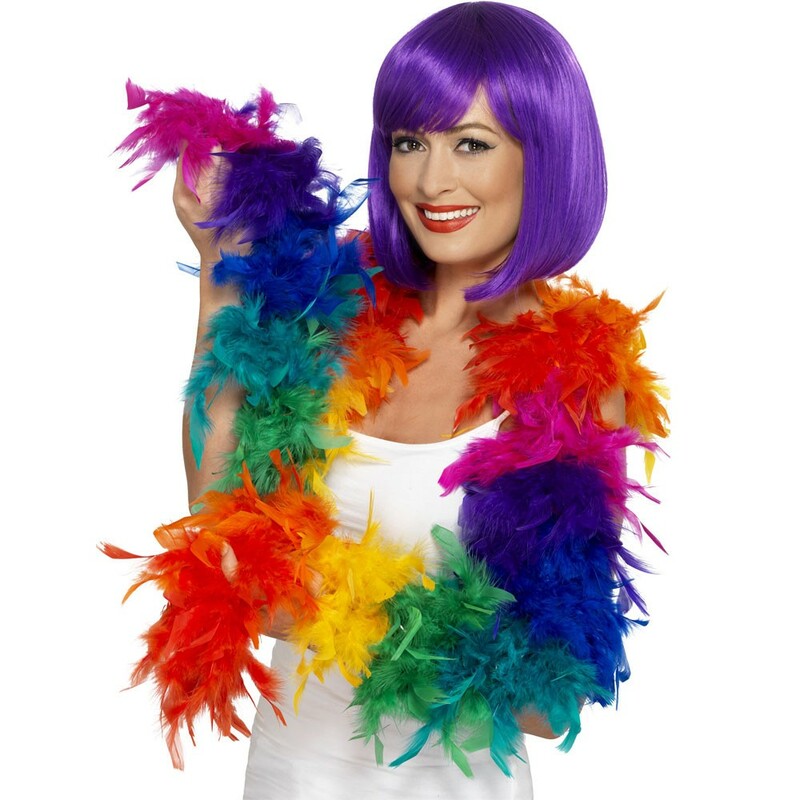 Add a splash of fun and colour to your fancy dress look with this fantastic Rainbow Feather Boa. This deluxe 80g Rainbow Feather Boa has a multi-coloured Rainbow design that is sure to add the glamour to your look. 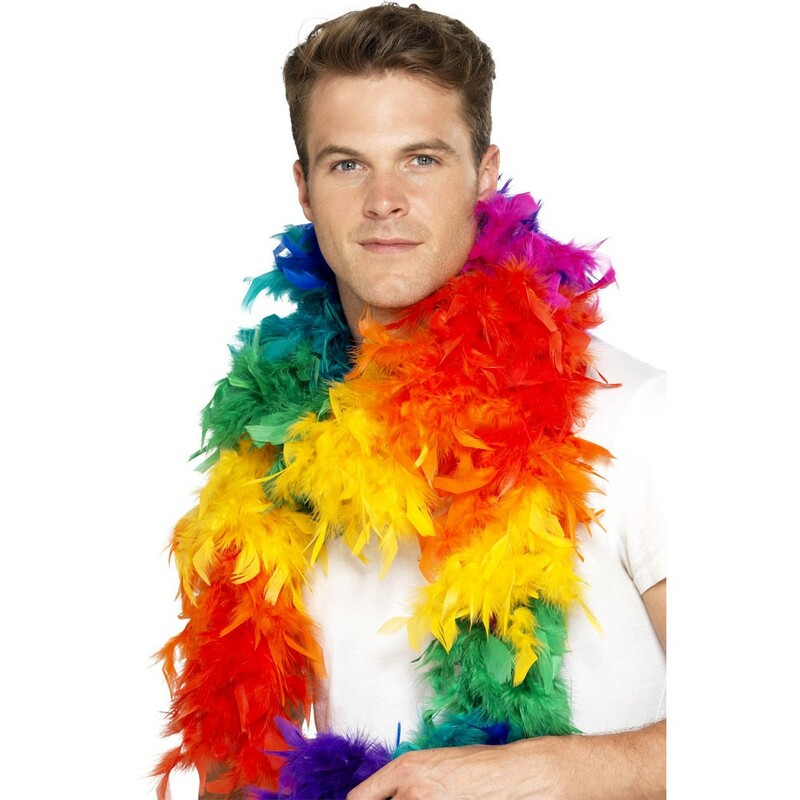 This brilliant Rainbow Feather Boa is perfect for Pride events, parties, nights out, or any colourful fancy dress occasion! A Rainbow Feather Boa with multi-coloured feather design.